Find the Deluxe version now on sale! Save up to 14% on Family Tree Maker Deluxe, the most popular version of Family Tree Maker, now at Amazon. This sale drops the price down to $60.48 from a list price of $69.99. We’re not sure for how long this sale price will be active for so be aware that prices can change without notice. No coupon code is required for this offer. Free standard ground shipping is included as well. Offers and prices can vary. Just $39.99 for the Essentials version. 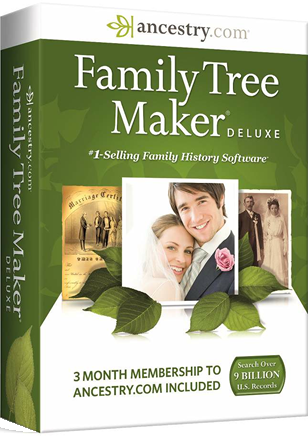 If you’re new to Family Tree Maker and just need the basic version, then find Essentials on sale for just $39.99 with free shipping included. A one-month subscription to ancestry.com is also included with your purchase. 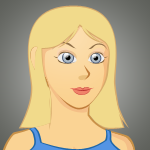 This version is only available for PC and supports Windows Vista, Windows, 7/8, and XP. Pricing expect to last through April 15, 2019. & a free membership to Ancestry.com. Get the most advanced version, Family Tree Maker Platinum, for $99.99 now on sale at Amazon. This version includes online sync to Ancestry.com, Family History Toolkit, family photo retouching software, a bonus gift disc, and a 6-month free membership to Ancestry.com. See site for offer details. Select versions of Family Tree Maker are on sale for up to 20% off at Ancestry.com. Unlike the versions sold at retailers, you are able to download your order immediately and not have to wait for the physical box to arrive in the mail. Both the PC and Mac version is available. You can also save on gift memberships and get the mobile app. See site for details. 90-Day Money Back Guarantee from Ancestry.com. Unfortunately, Nova Development, the maker of Family Tree Maker, does not offer a free trial download of any of their software versions. However, there is a generous 90-day return policy in place when ordering from the Ancestry Store. If you’re not satisfied with the software for any reason then you can return it for a full refund. The 90 day period starts from the date the product was shipped to you. Family Tree Maker 2016 Release Date Alerts! Signup to our release date notifier and we'll let you know as soon as the 2016 versions of Family Tree Maker are released and on sale! Many Family Tree Maker versions come with a limited-time free membership to ancestry.com. However, if you decide to take advantage of this offer you will need to provide a creed card at the time of signup. Then after the free membership period ends (it’s usually 3 months) they will automatically begin charging you a monthly fee to the credit card that they have on file. If you don’t want to be charged then you must cancel your plan before the free period is over. You can do this over the phone by calling Ancestry’s customer service at 1-800-262-3787 (US only). They are open daily (excluding the major holidays) from 9:00 am to 11:00 pm ET. If your taking a class that requires a copy of Family Tree Maker, then unfortunately you’re out of luck. Nova Development, the makers of the software, do not have any special discounts for students that we could find. It’s possible that your college or university bookstore may have something available at a lower price but you would have to purchase it through them. If you do find a student discount, just be sure to compare it to the sale prices listed here on Software Voucher to be sure you’re paying the lower price possible. Have you seen a better deal that’s not listed here? If you’ve seen a better deal on Family Tree Maker or a coupon code that is not listed here on Software Voucher, then please let us know. We monitor these promotions and scour the web for others on a daily basis, but sometimes we can’t catch it all. Also, if you happen to see an expired offer then we would also be very grateful if you could contact us so that we can remove it from this page.